Truck drivers out there have a reason to be worried. It is expected that robots will soon take over their jobs as part of an effort to improve operations. Fleet companies that manage trucks are evolving quickly by embracing technology that is making human drivers redundant over time. Big truck manufacturers like Volvo, Mercedes-Benz, and Renault among others have already released excellent driver assistance technologies that are almost engaging in half the tasks carried out by human drivers. Their main aim is to increase the productivity and safety of both the drivers and cargo on these trucks. As we speak, big truck manufacturers have already rolled out driver assistance technology for off-road driving. The driver can step out of the truck and steer it using a remote control to evade obstacles and sharp corners. Needless to say, automation and robotics in the trucking industry are expected to grow very rapidly in the near future. Recently, there has been a lot of news explaining how vehicle technology experts and manufacturers have been working together to develop automated solutions. Recently, Uber conducted a test of fully automated truck delivery across a whole 500 kilometers in Arizona. Although there was a backup driver on board, the driver’s task was just to monitor the driving situation and take over in case the test failed. This is one of the greatest steps in the technology of robotics in the trucking industry. Starsky Robotics, a small startup in the field of tracking technology, is already conducting tests on the full automation of trucks through the use of GPS. They have successfully completed a 7-mile journey on a test basis and are looking forward to stabilizing this technology. 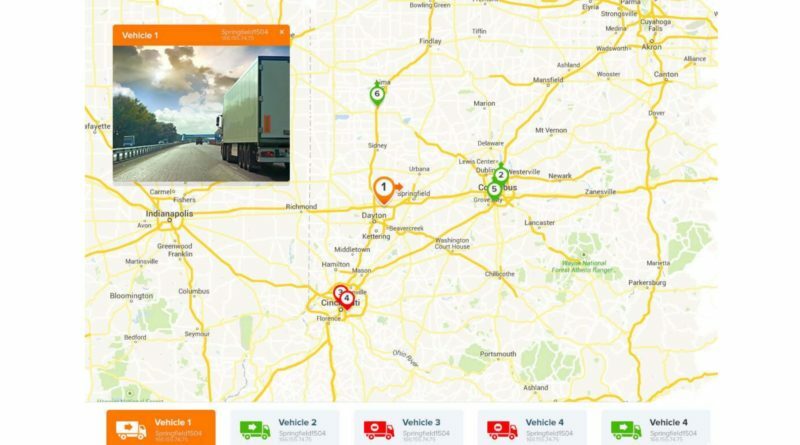 Suppliers of fleet solutions devices like EyeRideOnline are ready to be part of the future by supplying sophisticated devices like GPS trackers and smart dashboard cameras. As the dream of having robotics take full control of delivery trucks on the road is becoming clearer, it is good to mention the important technology that is being used together to offer these solutions. Here are the main ones. GPS – its role is to offer navigation. A few decades ago when GPS was just a dream, drivers had to use a map to navigate along new delivery routes. Today, they do not have to master the routes because they can follow the digital routes on the GPS navigation screens. A further application of this technology in self-driving trucks is to integrate the GPS navigation into the truck’s computer that handles driving. Smart cameras – their main purpose is to record and feed the information to the control centers where human beings are on standby to assist in navigation through congested streets. According to recent reports, the experts in control centers can assist more than one truck per hour using the remote sensors and the video recording feed sent by the trucks to the experts’ screens. Multi-sensors – even today, vehicles have started using multi-sensors to assist drivers in navigation. Trucks that are planning to roll out robotic driving are heavily relying on multi-sensors to navigate through obstacles and automatically stop when they detect pedestrians and wild animals. They are integrated with a sophisticated computer that gives commands to different functionalities of the truck like the steering wheel, accelerator and the brakes among other things. Probably, sensors are the most sophisticated technology that is part of the success of robotic and automated truck driving. Self-diagnosis – as robotics takes control of the trucks, the innovators must create a way to deal with small problems on the road. Tire punctures, brake failures, collisions and other issues must be solved quickly to avoid delays in the deliveries. Simply, automated self-remedies are the only solution to minimize such challenges. The truck industry has made important steps in securing robotic services. From what is already available, the manufacturers are headed in the right direction towards success. Also, the conducted and ongoing tests are evidence that self-driving trucks are no longer a dream but almost a reality. Robotic innovation will indeed change the trucking industry for good. Unfortunately, current truck drivers will have to look for a different job. Check out our articles on the world’s biggest robot and drones patrolling your property.